Just a short post to link (Edit 8/2/2016 read here for updated link) a new whitepaper I wrote about upgrade of vCloud Networking and Security to NSX in vCloud Director Environment. VMware vCloud Director® relies on VMware vCloud® Networking and Security or VMware NSX® for vSphere® to provide abstraction of the networking services. Until now, both platforms could be used interchangeably because they both provide the same APIs that vCloud Director uses to provide networks and networking services. The vCloud Networking and Security platform end-of-support (EOS) date is 19 September 2016. Only NSX for vSphere will be supported with vCloud Director after the vCloud Networking and Security end-of-support date. To secure the highest level of support and compatibility going forward, all service providers should migrate from vCloud Networking and Security to NSX for vSphere. This document provides guidance and considerations to simplify the process and to understand the impact of changes to the environment. 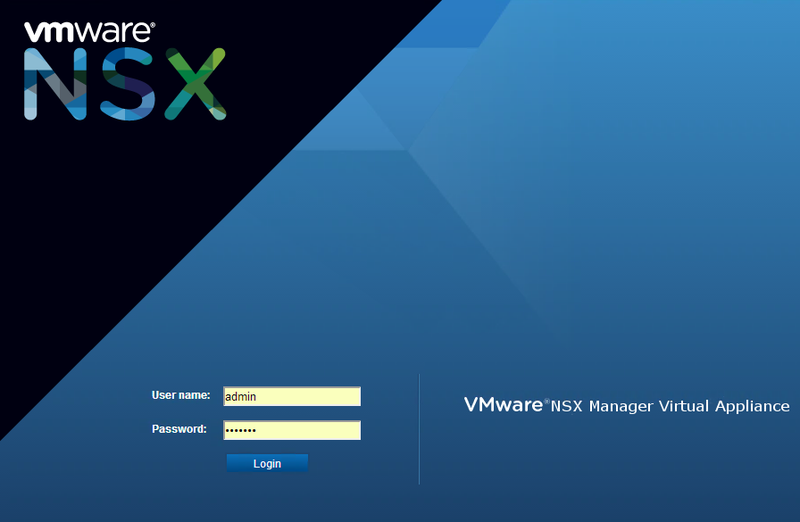 NSX for vSphere provides a smooth, in-place upgrade from vCloud Networking and Security. The upgrade process is documented in the corresponding VMware NSX Upgrade Guides (versions 6.0 , v6.1 , 6.2 ). This document is not meant to replace these guides. Instead, it augments them with specific information that applies to the usage of vCloud Director in service provider environments. A few service providers were asking me questions about migration possibilities from Nexus 1000V to NSX if using vCloud Director. I will first try to explain the process in high level and then offer a step by step approach. NSX (actually NSX for vSphere) is built on top of vSphere Distributed Switch which is extended by a few VMkernel modules and host level agents. It cannot run on top of Nexus 1000V. Therefore it is necessary to first migrate from Nexus 1000V to vSphere Distributed Switch (vDS) and then install NSX. The core management component of NSX is NSX Manager which runs as a virtual appliance. It is very similar in a sense to vShield or vCloud Networking and Security Manager and there is actually direct upgrade path from vCNS Manager to NSX Manager. NSX is backward compatible with vCNS API and therefore it works without any problems with vCloud Director. However NSX advanced features (distributed logical router and firewall, dynamic routing protocols support on Edges, etc.) 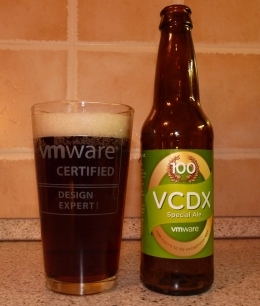 are not available via vCloud Director GUI or vCloud API. The only exception is multicast-less VXLAN which works with vCloud DIrector out of the box. In pure vSphere environment it is pretty easy to migrate from Nexus 1000V to vDS and can be done even without any VM downtime as it is possible to have on the same ESXi host both distributed switches (vDS and Nexus). However, this is not the case when vCloud Director with VXLAN technology is involved. VXLAN can be configured with per cluster granularity and therefore it is not possible to mix two VXLAN providers (vDS and Nexus) on the same cluster. This unfortunately means we cannot do live VM migration from Nexus to vDS as they are on different clusters and (live) vMotion does not work across two different distributed switches. Cold migration must be used instead. Note that if VXLAN is not involved, live migration is possible which will be leveraged while migrating vCloud external networks. Another point should be noted. We are going to mix two VXLAN providers in the same Provider VDC, meaning that VXLAN scope will span both Nexus 1000V and vSphere Distributed Switch. To my knowledge this is not recommended and supported although it works and both VTEP types can communicate with each other thanks to multicast controller plane. As we will be migrating VMs in powered off state it is not an issue and no communication will run over mixed VXLAN network during the migration. We will need two clusters. One legacy with Nexus 1000V and one empty for vDS. I will use two vDS switches, although one could be enough. One vDS is used for management, vMotion, NFS and VLAN traffic (vCloud external networks) the other vDS is used purely for VXLAN VM traffic. We need to first migrate all VLAN based networks from Nexus 1000V to vDS1. Then we prepare the second cluster with vDS based VXLAN and create elastic Provider VDC which will contain both clusters (resouce pools). We will disable the Nexus resource pool and migrate all VMs, templates and Edges off of it to the new one – see my article vCloud Director: Online Migration of Virtual Data Center. We will detach the old cluster remove and unistall Nexus 1000V and then create vDS with VXLAN instead and add it back to Provider VDC. After this we can upgrade the vCNS Manager to NSX Manager and prepare all hosts for NSX and also install NSX Controllers. We can optionally change the VXLAN transport mode from Multicast to Unicast/Hybrid. We however cannot upgrade vCloud Director deployed vShield Edges to NSX Edges as that would break its compatibility with vCloud Director. Create new vDS switch. Migrate management networks (vMotion, NFS, management) and vCloud external networks to it (NAT rules on Edge Gateways using external network IPs will need to be removed and re-added). 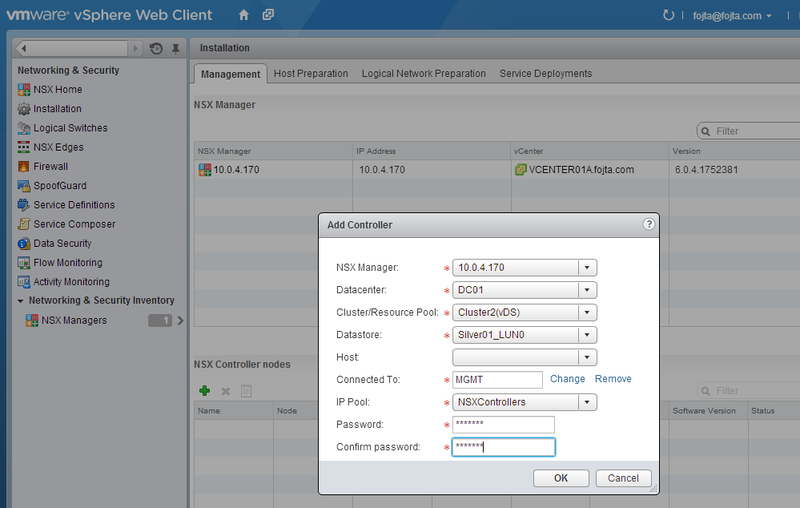 Prepare new cluster (Cluster2) and add it to the same vDS. 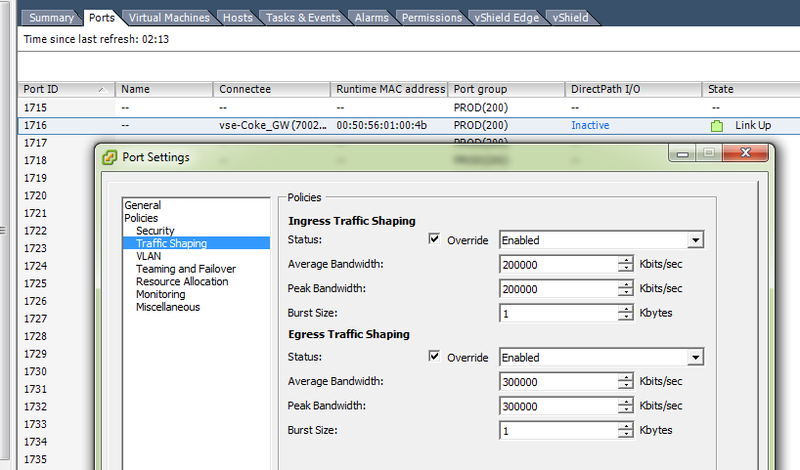 Optionally create a new vDS for VXLAN networks (if the first one will not be used). Prepare VXLAN fabric on Cluster2 in vCNS Manager. Merge new Provider VDC with the old one. Make sure the new Provider VDC is primary! Disable the secondary (Cluster1) Resource Pool. 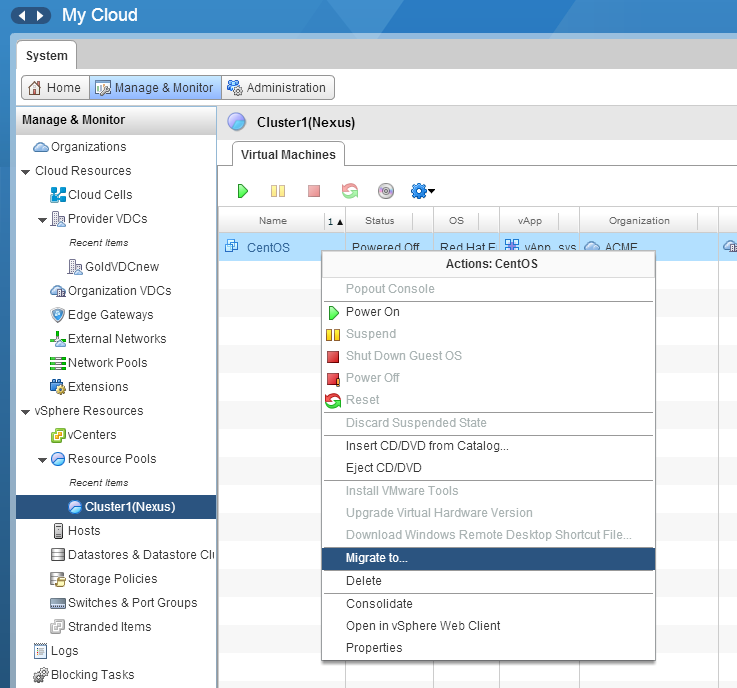 Migrate VMs from Cluster1 to Cluster2 from within vCloud Director. VMs connected to a VXLAN network will need to be powered off as it is not possible to do live vMotion between two different distributed switches. Migrate templates (move them to another catalog). As the Cluster1 is disabled the templates will be registered on hosts from Cluster2. 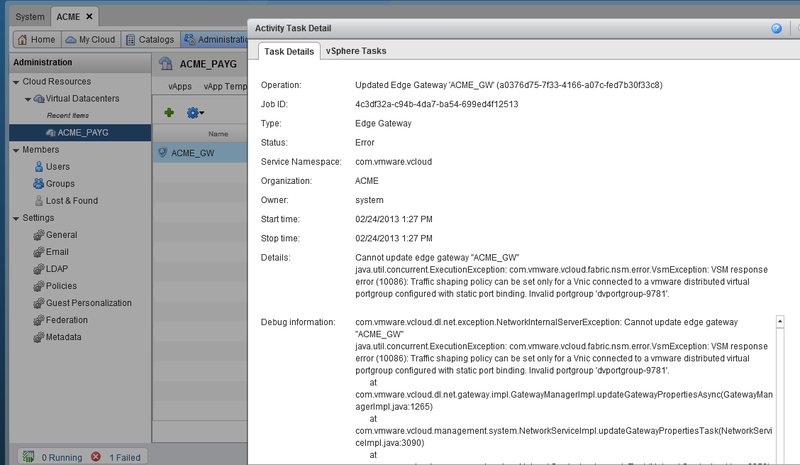 Redeploy Edges from within vCloud Director (not vCNS Manager). Again the disabled Cluster1 will mean that the Edges will be registered on hosts from Cluster2. Unprepare VXLAN fabric on Cluster1. Remove VXLAN vmknics on all hosts from Nexus1000V. Remove Nexus1000V switch from the (now empty) cluster and extend VXLAN vDS there (or create a new one if no L2 connectivity exists between clusters). Remove Nexus VEM VIBs from all hosts. 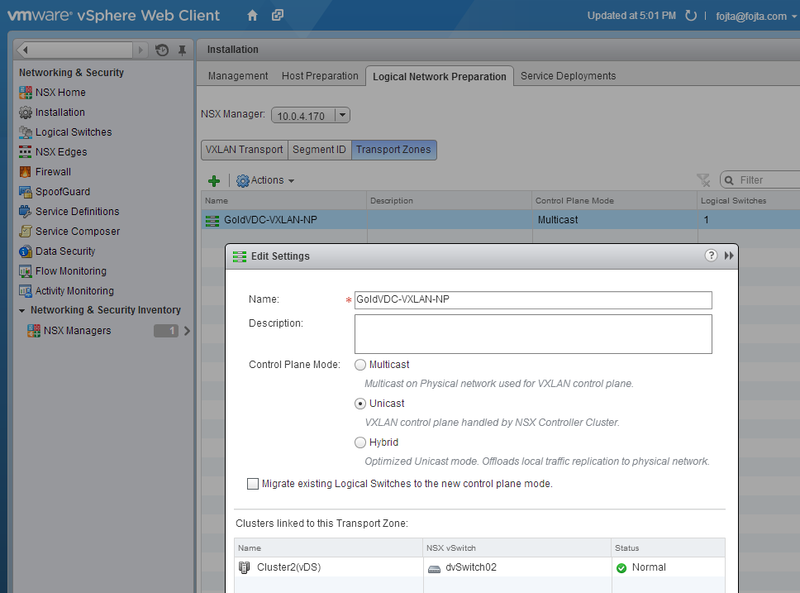 Prepare VXLAN fabric on the cluster and add it to Provider VDC. Update hosts in vSphere Web Client > Networking and Security > Installation > Host Preparation. This action will require host reboot. (Optionally) change VXLAN transport mode to Unicast/Hybrid. I was upgrading Nexus 1000V in my lab to the latest version 4.2(1)SV2(2.1). First you need to upgrade Nexus VSM (Virtual Supervisor Module) by uploading kickstart and system files to it and then installing them. This was done without any issues. The next step is to upgrade the VEM modules on every host connected to the Nexus 1000V switch. The message above changes to “An Upgrade … is in progress” and network admin can proceed with the upgrade. which will get rid of the upgrade in progress message from step #3. Disconnect VUM from the internet (so it cannot download Cisco patch metadata when it starts). 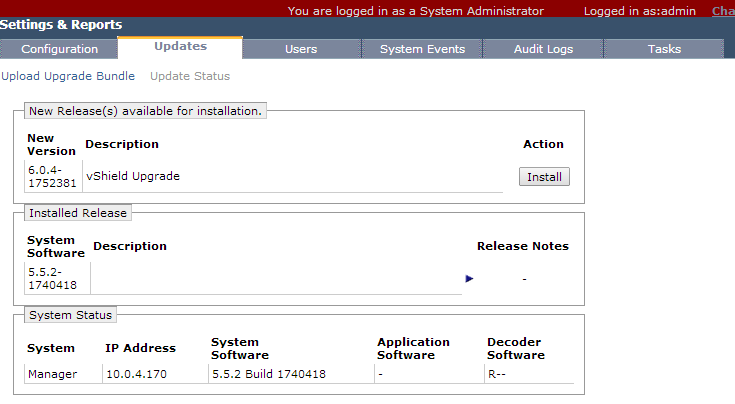 Start VUM service and uncheck the custom Cisco download source in the VUM Download Settings configuration. Connect VUM to the internet again. The installation will now proceeded without problems. Note: As the actual VIB binary is downloaded by VUM from the VSM and not the internet so make sure that VUM has connectivity to VSM.